Frosinone vs Roma predictions ahead of this Serie A clash on Saturday night. Will the visitors continue their winning streak? Read on for our match preview and free betting tips. Roma are the big challengers to AC Milan’s place in the top four, and the visitors come into this game looking to boost their hopes of making it back into the Champions League. Their next European game isn’t until March, so they have to be focused on some key clashes ahead. They have the derby against Lazio coming next weekend, but first, they’re heading to Frosinone on Saturday aiming to secure another three points. Can the hosts do anything to prevent the Giallorossi’s great form? The hosts remain second-bottom as they look to boost their survival chances. They were comfortably beaten last weekend, going down 3-0 against Juventus. The champions made short work of the strugglers, putting two goals past them within 17 minutes. They were able to ease off after, as they turned their focus to Europe. The problem for Frosinone is that they won’t get that mercy from this Roma side, who have a great roster of attacking talents, who are all young and hoping to prove themselves. Roma are coming into this game on the back of three straight wins, which has pushed them into fifth place. They have managed to boost their chances of getting back into the Champions League through some good form in the last two months, and now they have opened up a three-point lead over sixth-placed Atalanta. The Giallorossi can lay down a marker and make a push towards fourth with a win here, and the odds are massively in their favour going into this clash. Frosinone are yet to win a home game this term, while they’ve lost 14 of their 24 matches to date. The hosts come into this game having lost three of their last four at this ground, and we don’t see them matching up to Roma. The visitors won 3-0 away to Chievo in their last away trip, and they should be similarly comfortable in this clash with another side on course for the drop. Roma have won three straight games, with over 2.5 goals landing in each. In addition, they’ve seen over 2.5 goals land in six of their last seven wins in Serie A. They come into this game widely backed to get the points, and we see them racking up the goals after the recent form of their forwards. The hosts have already conceded two goals per game this term, and Roma should pile on to that with a high scoring win here. Roma and over 2.5 goals is our tip for this clash on Saturday. Roma alongside Juventus, are the side to have gained the most points across the last seven Serie A games (17 points – W5 D2). 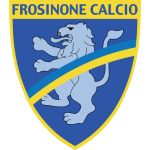 Frosinone have won just 16 points from their 24 league games this season – only two sides in Serie A history (since three points have been awarded for a win) have managed to avoid relegation having won 16 points or fewer after 24 games (Parma 2006/07 and Crotone 2016/17). Only Borussia Dortmund (17) have more different goalscorers than Roma (16) in the top-5 European leagues in 2018/19 – on the other hand, no side has fewer different goalscorers than Frosinone (seven). 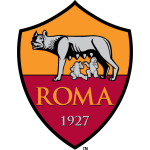 Roma have scored nine goals in the first 15 minutes of Serie A matches this season, no side has scored more – the Giallorossi alongside Juventus have scored the most goals in the first half (23 goals). Daniel Ciofani is the only player to score a Serie A goal against Roma with Frosinone (in the 1-3 defeat in January 2016). Roma’s Aleksandar Kolarov has scored in his last two league games – the Serbian defender has never scored in three consecutive matches in his career across spells in Serie A and the Premier League. Stephan El Shaarawy has scored in both of his Serie A games against Frosinone – the Roma striker has also scored in his last two away games, only once in Serie A has he been on a longer such streak (December 2012 with Milan, run of seven).